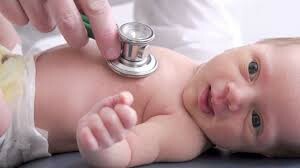 Pediatricians undertake an additional six years of training on top of their medical degree, to become specialised in medicine for newborns and children. Often paediatricians will then choose a specific ares of focus (newborns, adolescents or children), although they are all trained in all areas. To see a paediatrician, you need a referral from your Midwife within the six weeks after birth, or from a GP. This is important for you to access before you see the paediatrician for two reasons. One, so that the paediatrician has information about the reason for the referral, from a medical professional. And two, so that you are able to access medicare rebates for the visit. If you bring your newborn to see the paediatrician, it is likely that they have not yet been assigned a medicare number. Don’t worry, if medicare rebates apply to the appointment, you will be able to obtain the rebate when your baby is assigned a medicare number. Cost: Dependent on appointment. Medicare rebates are available.